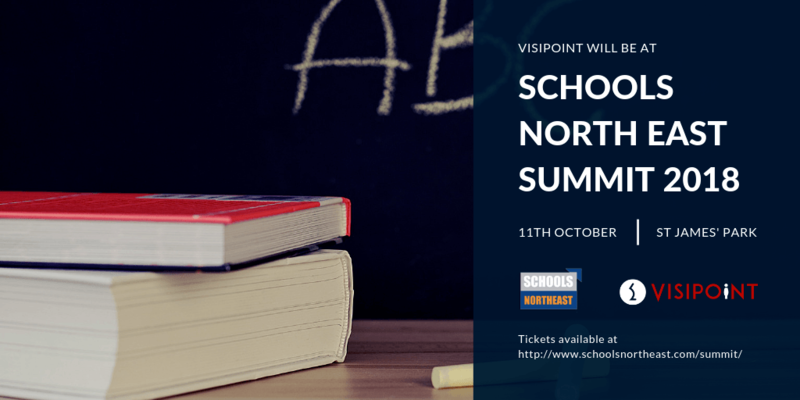 We’re very excited to announce that we will be exhibiting at the 10th annual Schools North East Summit on October 11th at St James’ Park. The summit, now in its tenth year, brings together leaders from across the education sector and promises to be a great opportunity to network and gain incredible insights. The keynote speaker will be Her Majesty’s Chief Inspector of Schools, Amanda Spielman. If you’re from a primary, secondary, MAT or college, VisiPoint’s GDPR-compliant, self-service visitor management system is ideal for improving student safeguarding. It’s on the 11th of October 2018 and will run from 9am until 4pm. The summit will feature a full roster of speakers, which you can see at the Schools North East site. Where is it, and how do I get there? It’s at St James’ Park, Newcastle. Located in the centre of the city, St. James’ Park is easily accessible on public transport or on foot. There’s also plenty of parking, which you can find more information about here. Why should I visit the VisiPoint stand? It makes it easier to manage staff, students, visitors and contractors. Data is stored securely in the cloud, making our system fully compliant with the new GDPR legislation. In the event of a fire or emergency you can easily find out who is in the building at that exact time to carry out a roll-call with convenient emergency lists. By keeping track of every visitor, staff member and contractor coming onto the premises, your school’s security and safeguarding is improved. How can I book tickets? You can book tickets directly from the Schools North East website. You can find full details about the summit by visiting the Schools North East website. Fill out the form below and you'll get an information pack delivered straight to you inbox! It'll help you evaluate our visitor management system - and it's great for sharing with other members of your team. Yes - I'd like to receive emails from VisiPoint. Don't miss out on our exclusive offers, best-practice guides and invites to events. Welcome to the New VisiPoint Website! Get in touch to join of our worldwide network of resellers and distributors. VisiPoint is a trading name of LamasaTech Ltd, a company registered in England and Wales. Registered number: 7079886.